This is a great one! 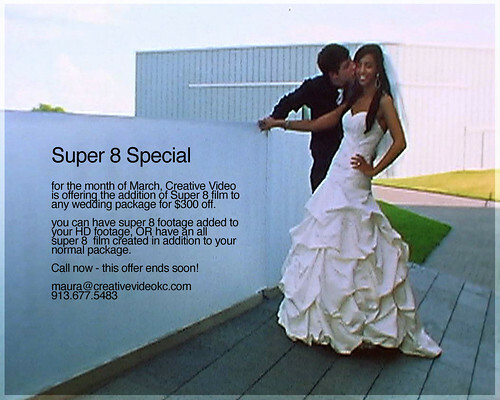 In honor of the Academy, and so many great films in 2010, I am offering $300 off the addition of Super 8 film to my 2010 and 2011 weddings! Give me a call or email and we can work out the details! Here is a peek at a beautiful super 8 film! Only super8 on this one! sandy & chris – super8 from creative video on Vimeo.